The Belgian composer, conductor and violinist Eugène Ysaÿe (1858-1931) was among the great virtuosos of his time. 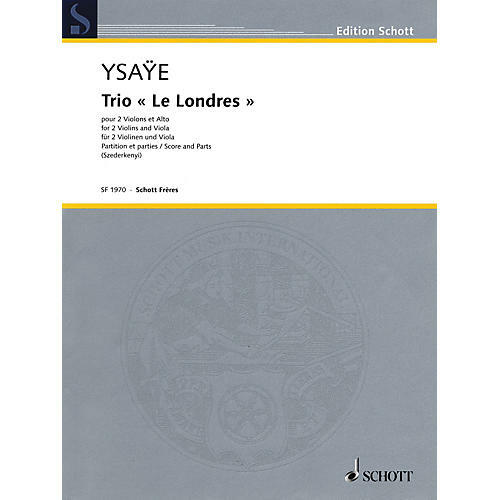 His trio Le Londres was originally conceived as a sonata for two violins for his pupil Queen Elisabeth of Belgium. As it was technically too demanding, Ysaÿe rearranged it for two violins and viola.